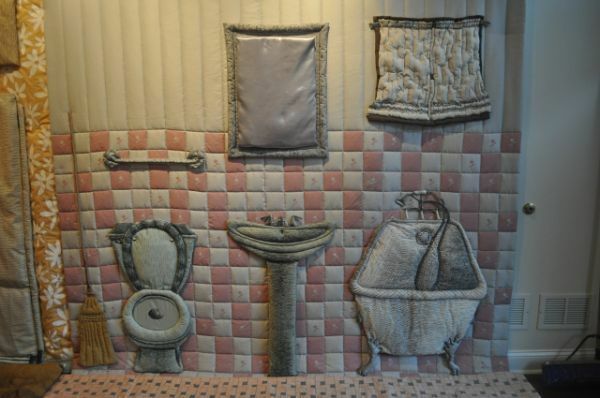 Kay Healy, an artist in Philadelphia, quilted entire rooms of a house and put them on display at a local airport. 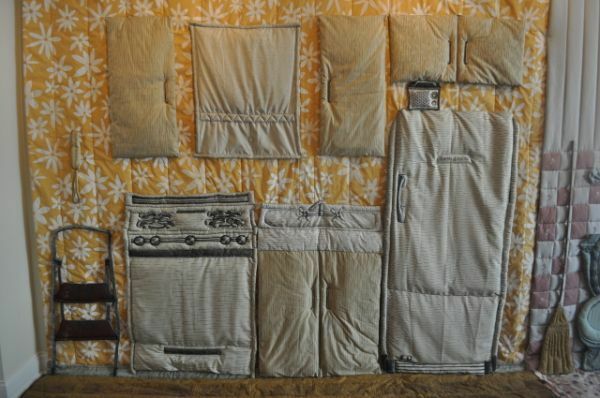 It’s like relief sculpture, but rendered in fabric. 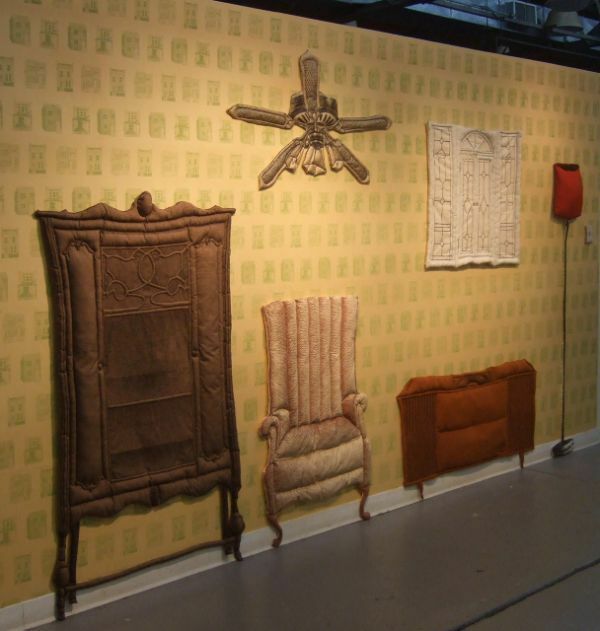 Her designs are chosen from memories of her childhood home and the childhood memories of other people in her city.